Holding money can definitely have its pitfalls, and it isn’t in a hustler’s mentality to save in abundance. But creating a security blanket for your family members, loved ones, and ultimately, yourself is a form of investment. It’s the most pivotal form of investment because it pertains to improving your environment and surroundings. Longevity and happiness is what we’re all aiming for, and saving ensures freedom and security. Money doesn’t make you happy, the discipline and philosophy behind managing finances is an art form that gives us pleasure, which in turn, translates to happiness. There’s a distinct percentage on every check you receive that you should be allocating towards being radioactive. The amount is irrelevant, because it all depends on what you’re about to pay yourself after covering the cost of living expenses and entertainment. Never blow an entire check, even if it’s a form of disposable income for you. Always set out a purpose to save a small portion. Choosing the percentage depends upon a number of confounding factors that you must consider sensibly. Knowing which bank accounts to save your money in is a significant indicator of how much money you will save long-term. A regular savings count gets the job done, but it isn’t optimal. Research and look into finding a TFSA (Tax-Free-Savings-Account) or High-Interest Savings Account that will yield better dividends long-term. Saving money is based on planning for the future. Thinking a few days ahead isn’t enough; you need to set out an action plan that extends into the next decade, so the next chapter you face becomes easier. Facing setbacks is an inevitable aspect of life, but every time you enter into a new phase of your life, you should be prepared to save and spend more. Climbing up the pyramid requires a savings plan. And delving into financial institutions is the only way to implement a plan that will consistently help you progress. Having bad credit is actually better than having no credit, and using credit cards is the first step everyone takes into establishing a form of credit. Using these cards for day-to-day purchases is easy; the convenience is a temptation that needs balance and moderation. Taking it with you everywhere you go isn’t necessary. And only using it for small or bigger purchases isn’t a strategy that will be sustainable. If you’re having credit problems, you can look into using Debitize–they provide a service that allows you to track your spending patterns correctly, by using your credit cards like they’re a debit transactions. Spending money that you don’t have isn’t warranted, and it should be something you prevent at all costs. Pay off the debt you owe as soon as it’s feasible, by implementing the money you have accumulated and saved from treating a portion of each as radioactive. Financial plans only work under the realm of accountability. If you aren’t willing to write down all of the purchases you make, by categorizing spending patterns, don’t expect any substantive results. Tracking every dollar you spend is a necessity. The planning is a very simplistic notion. Write down the amount you want to spend on certain bills each week and don’t exceed the limits set. Aim for a number that’s lower than the one you’ve initially set and write the total down at the end of every week. Set a monthly amount you’d like to spend and make sure to stay under what’s set. It’s all about putting a halt on how and where you decide to spend your money. 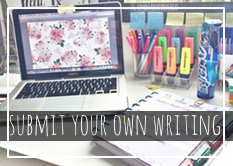 Being mindful of this notion, gives you more responsibility to follow through with these actions when they’re written. Responsibility is an expensive trait to maintain and uphold. Never expect a cheap individual to prioritize this honorable trait. 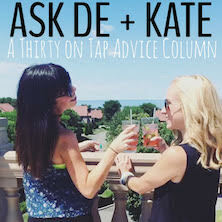 Kyle is part of the Contributing Writer Network at Thirty On Tap. The views and opinions expressed in Contributing Writer articles reflect those of the author and do not necessarily reflect the official policy or position of the site. 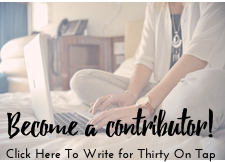 To apply to become a contributing writer, click HERE.